"Like all really good art, Conor Foy's work is hard to pigeon-hole as being one thing, or as addressing one issue. Rather it addresses the question of being in a fascinating, multifaceted way." So said Tyler Green, a columnist with Modern Painters of the work of Irish artist Conor Foy. Writing in The Huffington Post, Colin Darke said of Foy that he "is an important artist, he is in the arena creating great work.... he shows that he is able to capture immense emotion through delicate figurative work. He creates a quiet narrative that does not lecture the viewer, but it compels the viewer to consider the figure's tragic story". Born in Dublin in 1967, Foy graduated with a BFA from NCAD in 1990 and an MFA from Columbia University in 1997. He had his debut solo show at The Molesworth Gallery in 2013 and has shown in multiple years at the RHA, where he was awarded the Fergus O'Ryan Memorial Award in 2007. 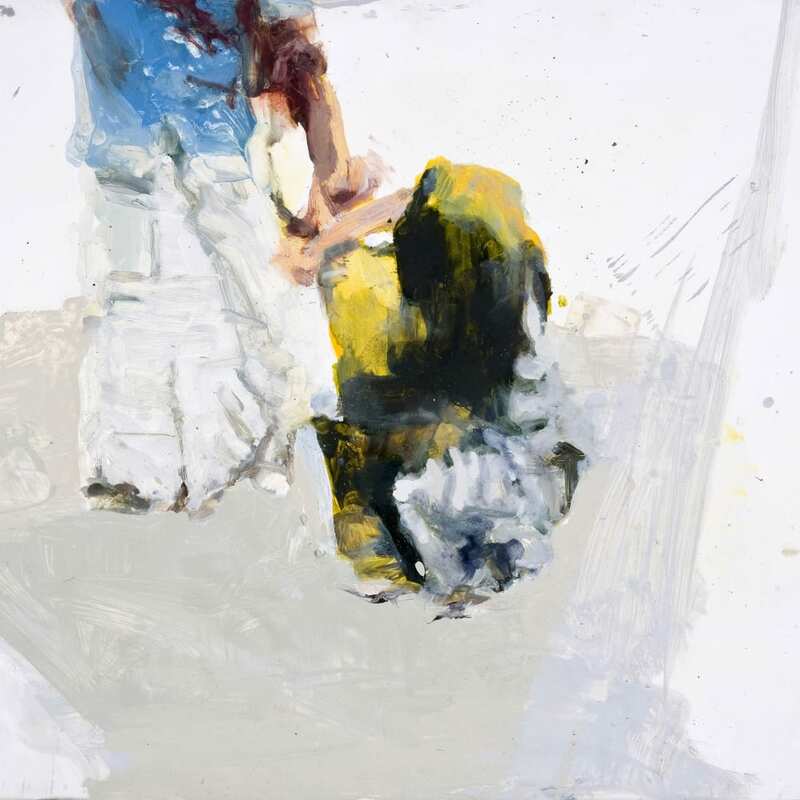 He is one of a group of notable Irish artists, alongside Corban Walker and Norman Mooney, who have taken up residence in New York - where Luc Tuymans is among the collectors of his work, as well being an occasional visitor to his studio.